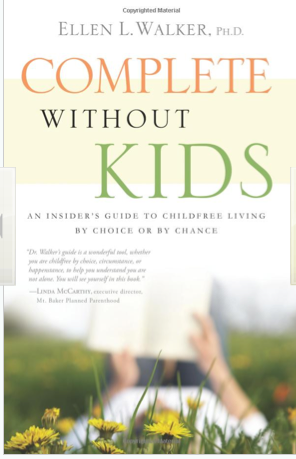 Childless Marriage – Q and A with Complete without Kids Author Ellen L. Walker. 1. Why are you calling Anita at 7:30 am, and leaving voice mails on her job? Why, praytell do you believe that to be appropriate behavior for the wife of a Supreme Court judge? 2. This is personal, right? I mean really, you have some unresolved marital issues that your trying to workout? 3. Did you ask Clarance? Did you go to him first and ask, “what really happened, Clearance?” That would seem the most obvious action. Go to your husband… your life partner for answers…not the other woman. 4. Why now Virginia? Why now after almost 20 years, are you asking for an apology? Isn’t 20 years enough to heal, why are you opening closed wounds. What are you trying to do to your marriage, your husband’s career, your self esteem? I’m just so confused by her actions, this was the center of my morning conversation with Dr. B. We as a married couple cannot understand how one spouse would have the audacity to do something so…foolish. What do you think, was going through Virginia’s head when she made that call? I’m 5 weeks into my current course, Managing Organizational Systems and Complexity, which I have mixed reviews about depending on the day of the week. There have been readings and assignments that I absolutely love, and others that I could care less about. One of the readings that I really enjoyed and applied was in week two, when we had to read chapter 9 titled Mental Models the book The Fifth Discipline, by Peter Senge. Senge defines mental models as, “the deeply ingrained assumptions, generalizations, and even pictures or images that influence how we understand the world. Since how we act is based on our impressions of our surrounding environment, it’s imperative that we recognize and re-evaluate our mental models and preconceived assumptions.” Simply put a mental model is explanation of someone’s thought process about how something works in the real world. Our mental models help shape our behavior and define our approach to solving problems and carrying out tasks. For example, at work you might think, “My boss believes I’m incapable of managing this project.” Yet you never ask my boss directly about it. You would simply go out of your way to try continually to make yourself look capable to your boss. Another example is, “My boss is impatient and believes in quick and dirty solutions,” so you go out of my way to give him simple solutions even though you don’t think they really get to the heart of difficult solutions. I got to thinking about the mental model that I have of Dr. B, and the ones that he might have of me. Do I think that he doesn’t care because he always has a black and white solution to a problem, or does he think that I’m hotheaded and temperamental because I display passion when discussing a topic that is dear to me? So, if we are carrying around the mental models of each other how are they affecting our behavior towards each other? As newlyweds it is important to distinguish between direct observations, and generalizations taken from our observations of our spouses. There are ways you can approach a conversation with your spouse about your mental models; such as owning up to your own assumptions about your spouse, and citing your observations upon which they are based. 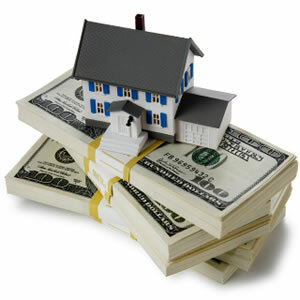 This in turn will help reduce the chances of a defensive reaction from your spouse. What mental models do you think you have of your spouse, and what mental model do you think they have of you?